You've spent all week waiting for the date with the object of your affection. Every element has been mapped out, down to your wardrobe and what you will do. But as the minutes tick by and you wonder when your date will arrive, it slowly dawns on you that he's not going to. At all. That's when you realize that you've been stood up. It's not a great feeling. But the best thing to do is accept it, process it and then keep your eyes peeled for the next potential date. Being stood up is never any fun! It's simple really -- if a person likes you, he calls you. He doesn't stand you up. At the very least, he looks for another time to have that date with you, because you matter. In Psychology Today, expert Rita Wilson says it simply: "Love is reciprocal. If he didn't call, he was not the right one for you." Therefore, any person that can stand you up deserves to be forgotten as quickly as possible. Yes, your date stood you up and you're probably tempted to call and give him or her a piece of your mind. However, would you want to be with anyone that would treat you that way? John DeVore offers context in The Frisky on why a guy wouldn't call a girl back from his personal perspective, saying that he didn't "have the heart or the energy to painfully explain the truth" and hoped she would just disappear. So, accept that your date doesn't deserve your worry and keep going. It could be quite hard to understand how and why someone stood you up. However, this could also be a great opportunity to understand and identify what it is you are looking for when it comes to someone to date. Map out a list of the traits that matter to you. As Wilson points out, doing this can also reveal that the very person you've been focused on may not have been the right one. Instead, keep that list handy and remind yourself of what's on it -- so you have those traits top of mind next time you meet someone. 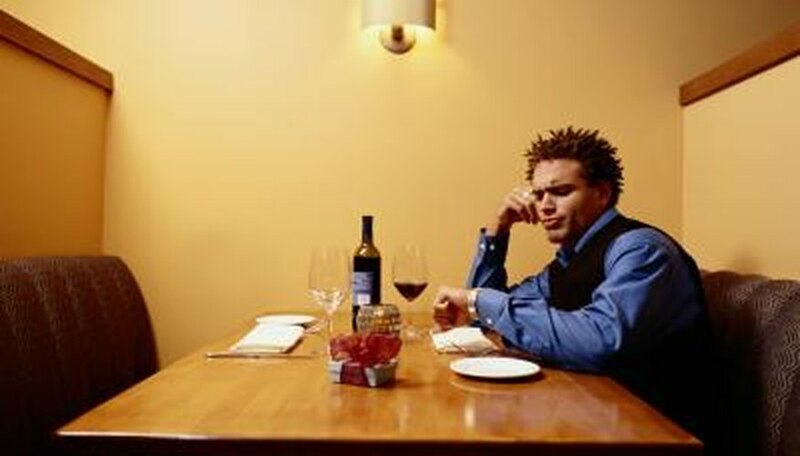 The hardest thing about coping with a date that stands you up is the need to analyze it. But don't stew on it. Instead, the strongest thing you can do is move on from this difficult incident and allow yourself to find someone new. One failed date doesn't mean all is lost, so allow yourself the chance to find someone who's willing, not only to meet you for a first date, but maybe even a second and a third. Psychology Today: Home Alone on Saturday Night? No Call from Mr. Right? Calderon, Grace. "How to Cope When a Date Stands You Up." Dating Tips - Match.com, https://datingtips.match.com/deal-being-stood-up-2387519.html. Accessed 22 April 2019.